If you encounter an ocean liner these days whose name has the prefix Queen you know you’re seeing a Cunarder. This book offers a look at the famous company’s history and its three current flagships, the only ones providing scheduled passenger service between Europe and North America. The author is German (and fittingly resides in the port city of Hamburg which was founded in 1189 and is now Germany’s “Gateway to the World” and the second-busiest port in Europe) and this book was first published in German in 2007 and the following year in English as a hardcover on which this brand-new, expanded softcover version is based. It has been a busy decade for Cunard: Queen Mary entered service in 2004 as the largest and most expensive passenger ship ever built, Queen Victoria was launched in 2007, and Queen Elizabeth in 2010. Cunard likes to say that “the journey may be even more magnificent than the destination” when you take one of the Queens, and this book, small though it is, gives a good idea why that is. 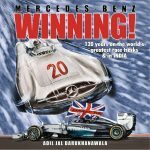 Having written several books on maritime subjects and lecturing regularly on passenger liners, Schwerdtner is a capable and certainly enthusiastic guide. 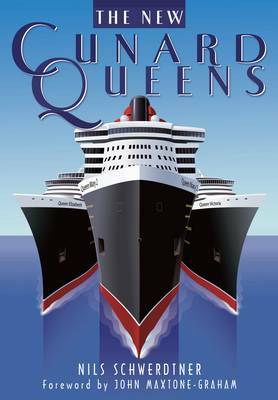 Already the Foreword, by his American colleague John Maxtone-Graham who has himself published extensively on ocean liners since the 1970s and is such a dedicated Atlantic-crosser that he celebrated his 80th birthday aboard Queen Mary 2, gives a good impression of the esteem in which the Cunard Line is held. As Schwerdtner makes clear, it wasn’t always so. For most of the 30 years after its founding in 1840 as the British and North American Royal Mail Steam-Packet Company, Cunard held the Blue Riband for the fastest Atlantic voyage but by the 1870s fell behind its rivals. The book, in fact, says rather more about the company than the ships proper. If you are expecting technical or construction detail, this is not the book. Basic build and performance specs are worked into the main text, as are discussions of design parameters and certain aspects of the propulsion system. There is, however, quite a bit of “operational” detail, at least from the passenger’s point of view, from boarding to day-to-day activities. The book is probably best described as a tribute to Cunard and its ships. It is comprehensively illustrated—but, ships are big and the book is small . . . there are only a few large photos and even they do not, cannot, convey a sense of the fantastic size of these liners. From menu cards to deck plans, Schwerdtner makes an effort to give the reader a glimpse of the lifestyle aboard ship. There are only a few photos of cabins or dock work; most illustrations are of the public spaces and the ships at sea or in port. The writing is lively, the book design crisp and straightforward, there is one table of technical data of six ships from 1936–2010 (including construction cost; very enlightening!) and a Bibliography and a decent Index. 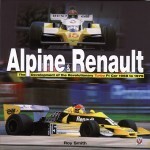 There’s nothing not to like about this book! There is a fascinating automobile/aero connection here: an early major backer of Cunard was Robert Napier, the Royal Navy’s supplier of steam engines whose cousin David is the “D” in D Napier & Son Ltd., the famous British automobile and aircraft engine manufacturer. That firm, too, branched out into marine engines and in 1903 a Napier launch piloted by pioneering motorist Dorothy Levitt (who, that same year, was reportedly the first woman ever to compete in a motor race) won the inaugural British International Harmsworth Trophy for speedboats. Since the boat was owned by race driver S F Edge it is his name that is on the trophy but Levitt had accomplished so many “firsts” that she probably could have cared less. Her entertaining 1909 book The Woman and the Car: A chatty little handbook for all women who motor or who want to motor is available as a free Google download!